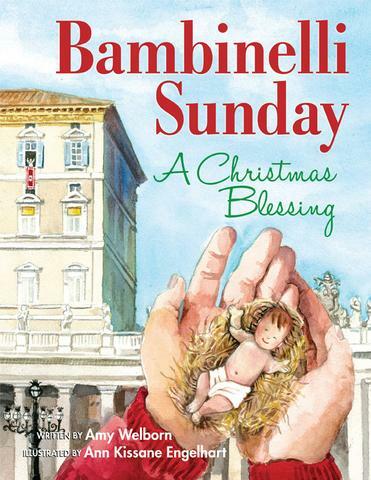 Pope John Paul II, during his papacy, instituted the celebration of Bambinelli Sunday on the Third Sunday of Advent – a day on which children from Rome bring to St. Peter’s Square the figurine of the Christ Child from their families’ Nativity sets. Then, following the Sunday Angelus address, the Holy Father blesses the statues of Baby Jesus which the children will take back to homes to be placed under their Christmas trees. Pope Francis continued the tradition, blessing the statuettes which children brought before him in the Square. Parishes around the world now join in the celebration, encouraging young children to make the connection between the Nativity set at home and the local church where they worship each weekend. On Sunday, December 16, you are invited to bring your Christ Child figurine from your nativity sets to Mass for a special blessing. We hope that you will participate in this powerful witness to the celebration of the birth of our Savior.